The Asia Pacific region is the most populated region with more than 50 % of all people on earth. In Advertising the Asia-Pacific region is second after North-America and could advance to the first place before 2020. Ad spending will grow about 7,3%. newspaper remain stable, whilst magazine will decline further (- 1,3 %) and Internet advertising will grow about 19,8 %. Growth will come from mostly from China, India, Indonesia. Ad expenditure grew in 2012 by 6,2 % to USD 140,839 million, all media showing growth, except newspapers. ZenithOptimedia forecast's that from 2012 to 2015 will grow by 20 % to about USD 169,526. Two third will be spend for TV and on the Internet. Magazine ad spending of USD 6,719 million in 2012, will decrease to USD 6,582 million in 2015. 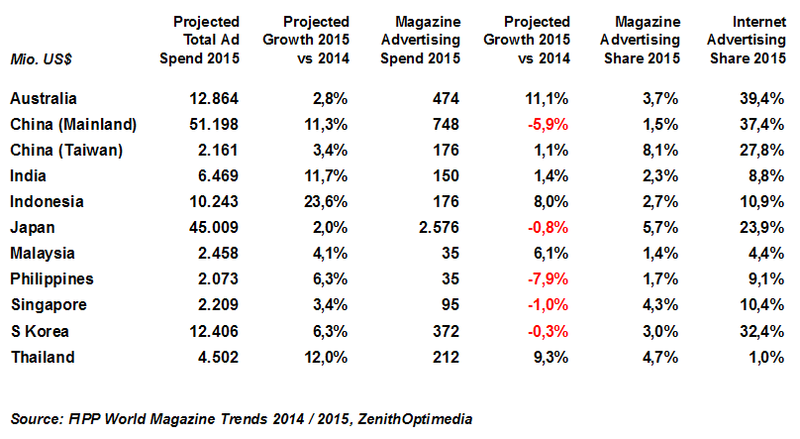 Ad spend share for magazines drops further, to 4 % in 2015. The FIPP WMT 2014 is a great compendium for anyone in media and advertising who needs to know about international magazine markets and needs some basic data, resources, and contacts. 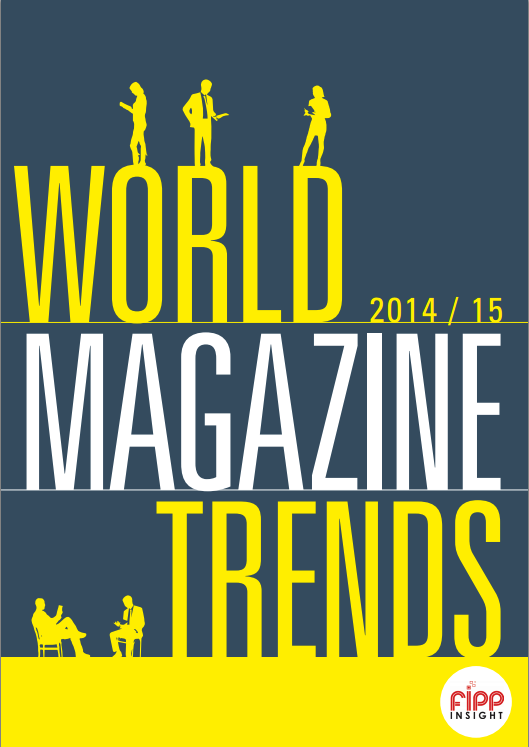 This 10th compendium of World Magazine Trends has it all - for 54 countries - (if available). Australia: Nine Entertainment wants to sell, and Bauer Media Group wants to buy ACP Magazines. But way? You can read why, and some about the agreement and the financial obstacles in the media release or the b2b press. and btw. the forecast for 2012 and 2013 is also negative. If you want more of this figures for Australia or other countries, please check FIPP World Magazines Trend 2012 or/and contact me / find me. ... covering Australia, China India, Indonesia, Malaysia and Singapore. View more presentations from Brandtology. Will Hulu generate more revenues (in 2009) than YouTube, as Mark Cuban suggests? "LiveJournal, the personal Web publishing service that jump-started blogging in Russia, has been sold by its U.S. owner to a Russian business partner, which will operate it independently, the companies said on Sunday. Six Apart Ltd said it sold the blog community site for undisclosed terms to SUP (according to Russia Information Center for 30 million USD, more), a Russian-focused Internet media company led by an American and British duo that has expanded LiveJournal's Russian business over the past year. Is this the end of the Russian policy "Blogs are not important enough to care about them? and / or 'somewhere, angry people need a hideaway to let off steam"? comScore is leaving home. After announcing and releasing research data on some Europe countries (e.g. Germany), comScore released this morning in Tokyo their first comprehensive review of Internet behavior covering 10 countries in the Asia-Pacific region. ... The comScore World Metrix study reveals that in May there were nearly 284 million people age 15 or older who accessed the Internet from either a home or work computer in the region. This represents 10 percent of the Asian-Pacific population 15 years of age and older. - South Korea boasts the greatest rate of Internet usage, with 65 percent of its population using the Internet in May (home and work locations, age 15 or older), followed by Australia (62 percent), New Zealand (60 percent) and Hong Kong (59 percent). India has the lowest penetration at just 3 percent. - China clearly has the largest online population with 91,5 million people (age 15 or older accessing the Internet from either a home or a work computer in May 2007), but this translates to a penetration of only 9 percent of the country’s population. Japan has 53,7 million users (49 percent penetration) and South Korea 26,3 million (65 percent penetration). Combined, these 3 countries account for 60 percent of the region’s Internet population. - South Korea has the most active online population, using the Internet an average of 17,4 days per person in May, and dedicating 31,2 hours to viewing 4.546 pages during the month – twice as many pages as the regional average of 2.171 pages per user. As Readers Edition, the German Citizen Journalism platform was not present in Seoul, I point you - who might be interested to benefit from the discussion - to Rory O'Conners who published his record of the event under OhourNews and points to media channels 'OhmyNews 2007 International Citizen Reporters’ Forum Recap, with a listing of reports about the 2007 Forum. Serhiy Danylenko from Ukraine's Citizen Journalism platform Highway mailed me a copy of his presentation in Seoul and I'm happy to share it with you (PDF). A study from Harris Interactive on newspapers and online sites, released last week, says so ... but is it important whether this will be in three, five, ten years or never? The lowest percentage of adults who indicate that major daily newspapers will be their source for news and information is in Great Britain and Italy (4% each) while the highest percentage is among German adults with 12% - not so comfortable either. The data came from a poll of 8749 adults taken last month the United States, the United Kingdom, France, Italy, Spain, Germany and Australia. You can help! Please send in links for CJ-Site still missing on this list (and any correction) via comment or by eMail. As there are multiple list from US CJ-Sites on the web, we don't list them here - except they are written (also) for the rest of us. Our aim is to build over time a respectable list for Europe, Africa (and Asia) if our reader and we can read / see something we understand. If you want more than a Link-List, please let us know! 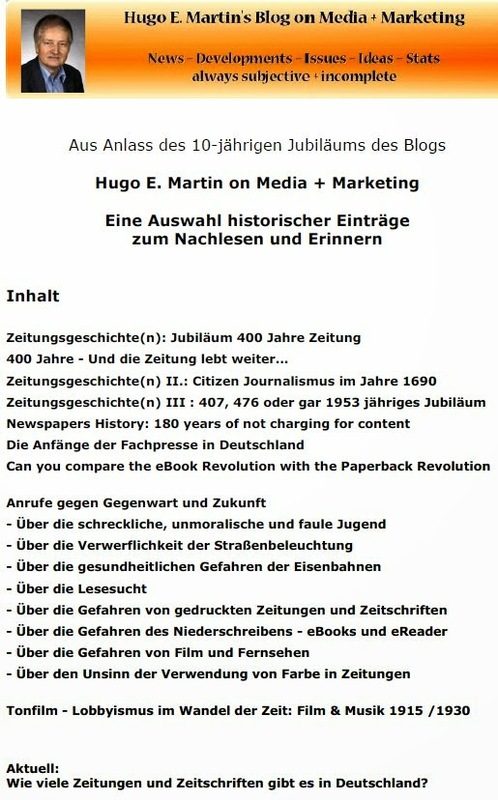 I am involved in the German project Readers Edition . If you are interested we could network, learn from each other and exchange and amplify subjects we care about. Fish4 Jobs ist unbestritten Marktführer im UK-Jobmarkt. 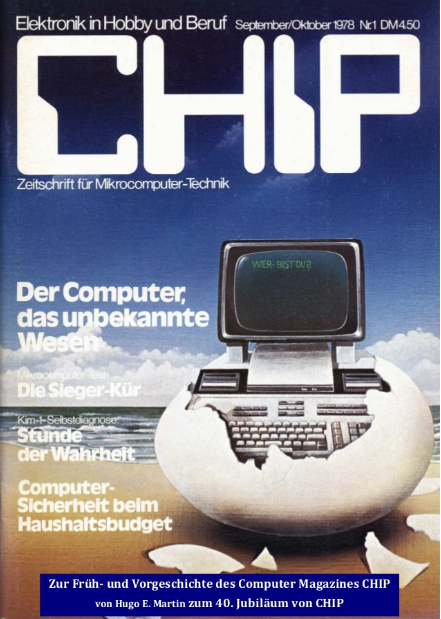 Die Gesellschafter von Fish4 sind vier regionale Zeitungsgruppen, darunter Trinity Mirror . Trinity hat jetzt wieder zugeschlagen. Gaapweb (der führende Nischenanbieter im Bereich Finanz- und Buchhaltungsjobs) geht für 10,45 Mio. UKP an Trinity Mirror (und wenn die Ergebnisse stimmen, noch einmal 2,6 Mio.). Trinity's Wettbewerber DMGT's hatte sich eine Woche vorher die Spezialjobbörsen Officerecruit und Top-consultant für 4,1 Mio. einverleibt. Damit ist ziemlich eindeutig. Die UK-Zeitungsverlage haben sich das Job-Business zurückerobert und der Launch eigener regionaler oder Nischen-Jobsites (Medical jobs (emedcareers.co.uk), Secretarial jobs (secrecruit.co.uk) stabilisieren das Wachstum und streuen das Risiko. Deutsche Zeitungsverlage pflegen da doch eher ein gemächliches Tempo. Um tausend Ecken (und über Australien) herum bin ich verwandt mit Cliff Ollson (leider ohne jede finanzielle Beteiligung) und nun hat sich nach mehr Jahren mein Ratschlag an seinen Partner Mark Wainwright "die Braut zu putzen" dann doch gelohnt. Und, wenn immer der Namen Jonathan Turpin auftaucht (dem GF von Fish4) erinnere ich mich an einen (ca. 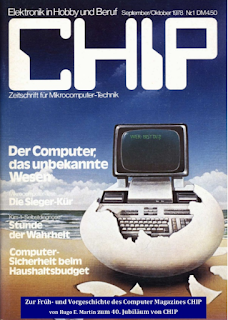 14 jährigen) Jungen, der hoch intelligent, sehr ernst und mit großer Begeisterung an allen Computern herumspielte, die ich ihm in meiner damaligen Firma bieten konnte. Lawrence Lessing shares "a cool educational clip" from CC Australia about the Basics of Creative Commons.